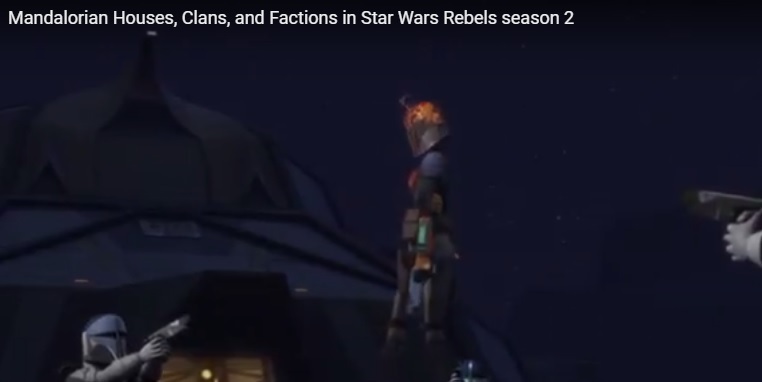 With the upcoming fourth and final season of Star Wars Rebels to feature more of what’s going on with Mandalore, I figured I would delve back into the shows and see what they have to say about Mandalorian societal structure, such as houses, clans, and factions. So, I decided I would make videos about them, with the first one being about what we see in Star Wars: The Clone Wars. Following that, I put together the following video, showing us what we see and hear in the second season of Star Wars Rebels, which is some tidbits we experience in the episode “The Protector of Concord Dawn” (there is nothing in the first season of Star Wars Rebels about Mandalorian societal structure). Additionally, I have bolstered it with the helpful insights and knowledge from Dave Filoni and Pablo Hidalgo from the accompanying Rebels Recon episode. Stay tuned for a future video about Mandalorian houses, clans, and factions in season three of Star Wars Rebels!